The Infantree is a design agency I co-founded in 2006. We partnered with clients to craft holistic brand experiences in print, interiors, and on the web. I sold out of the company in 2010 when I decided to go back to grad school and pursue my MFA at Maryland Institute College of Art. My partners stayed on and the company continues to thrive. In 2006, I returned home to Lancaster, PA after undergrad and discovered a tough job market for a mediocre graphic designer—which at the time, I definitely was. I also wanted to recreate the art community that I had grown to love at school. So, I took a job to pay some bills and started renting the top floor of a warehouse building. With an unimpressive resume and a lot of ambition I created a brand to make myself seem bigger and more experienced than I was. 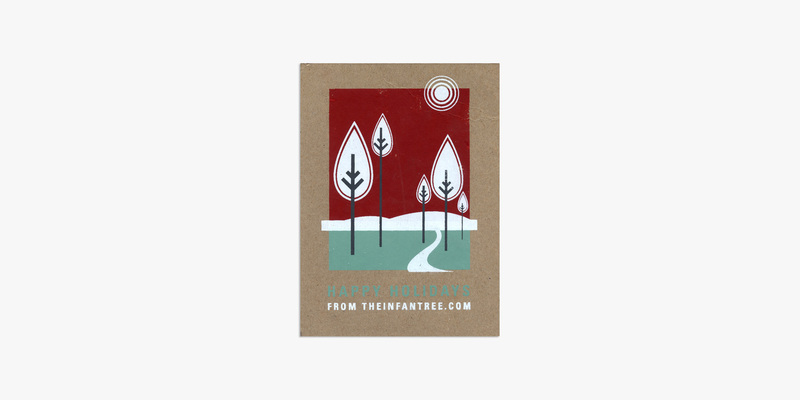 I called it The Infantree, signed on my college friends, and built a website pitching it as an international artist collective and printmaking studio—which was true because I had one friend in Seoul. Next, I had to get out the word. What better way to get the word out than an edition of hand-printed, 4-color holiday cards? As a recent grad the one thing I had was time, so I put way more time into my holiday cards than anyone else that year, and I sent them to all the companies in the area that sounded remotely creative. The cards were sent from The Infantree, and did not mention me personally. During this time, I was also interviewed for a few design jobs at studios and was rejected. Even though people wouldn’t hire me as a junior designer, they did start hiring me to do freelance as The Infantree. The cards worked. I simply repositioned myself and the reception shifted. The process taught me a lot about understanding audiences, framing stories, and doing things that don’t scale. I went from being a bad graphic designer to an entrepreneurial printmaker with one simple act of making. This card started it all. 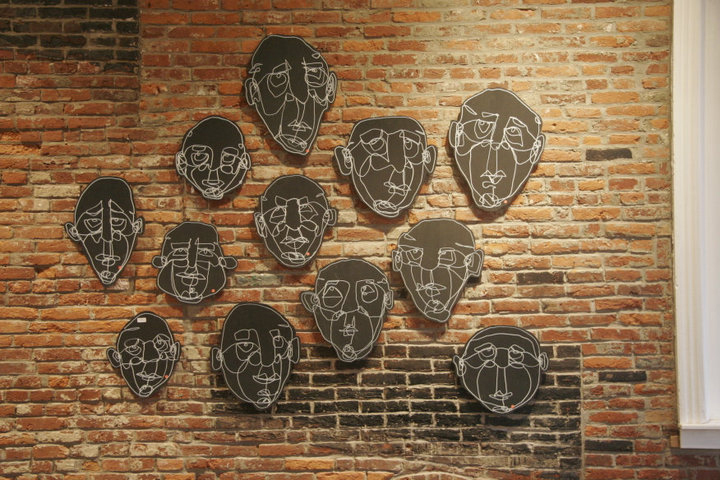 As I was building the brand, I opened a gallery space and invited the public once a month. 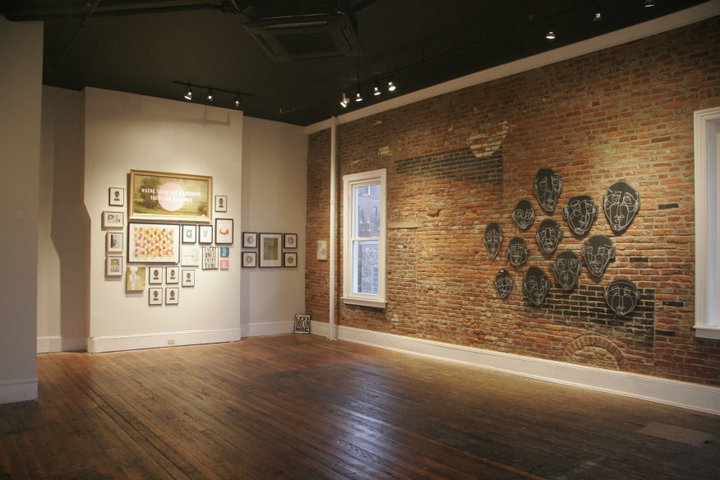 The gallery helped me build the artist community that I wanted and at the same time people became curious. I showed artists and printmakers from other cities, people came to check out the space, and ultimately, started talking about The Infantree. 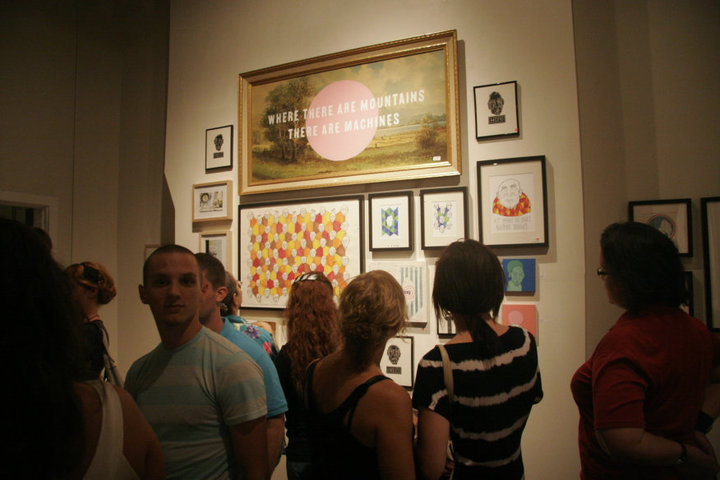 Through the openings I met like-minded people in town and built friendships with other artists and designers. I turned the gallery into a co-working space and I got better at design and web development. Eventually two partners joined me and we launched the design studio. Instead of getting a junior design job and working my way up the ladder, my partners and I decided to do things our own way. I’m glad we did. Throughout the following years we developed a loyal client base. 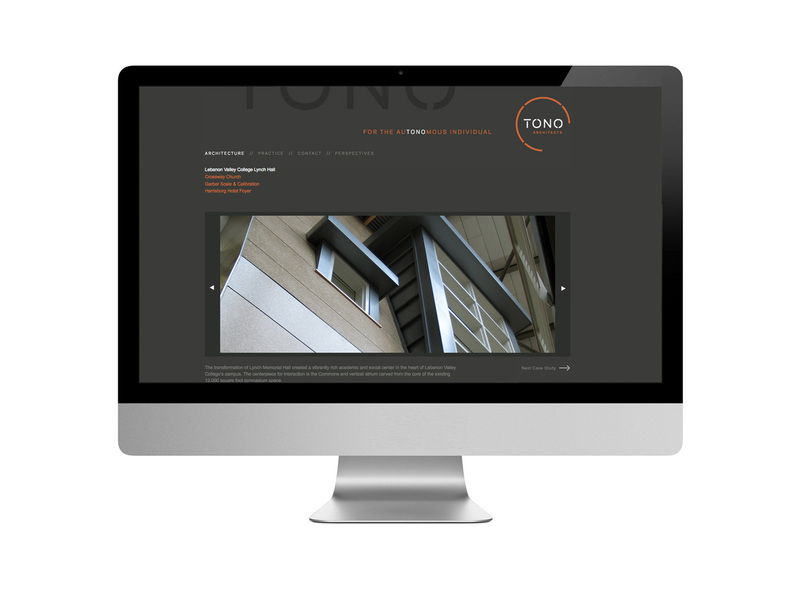 We offered brand and web development and later expanded into interiors and full brand experiences. We built incredible relationships with our clients and each other. It was exhilarating and it’s where I fell in love with creating something from nothing. I’ve tried to allow that love to drive every project in my career. The Infantree confirmed my bias towards entrepreneurship. Over the years the business part got me as fired up as the design work. When we really started to take it seriously we built ways to replicate our process and deliver consistent experiences to our clients. One process that worked particularly well was our Visual Language Process. 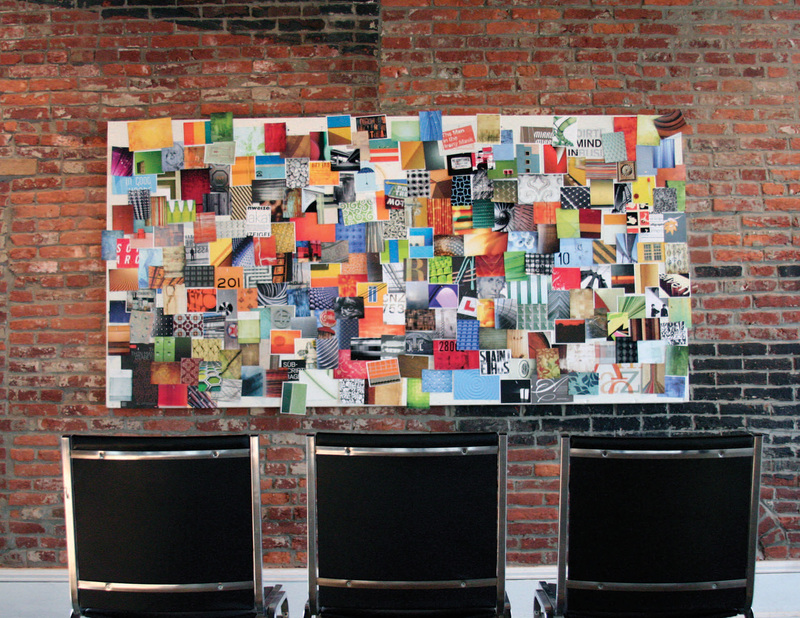 During a Visual Language session we brought together client stakeholders and stood them in front of a board of images. Together, they edited the board. They looked at each image and talked about whether or not it represented their brand. With so many images, no decisions felt sacred. They had to move quickly, moving each image into a yes or no pile. While they debated, we listened and took notes. We learned about their group dynamics and got a sense of what imagery and palette spoke to them. 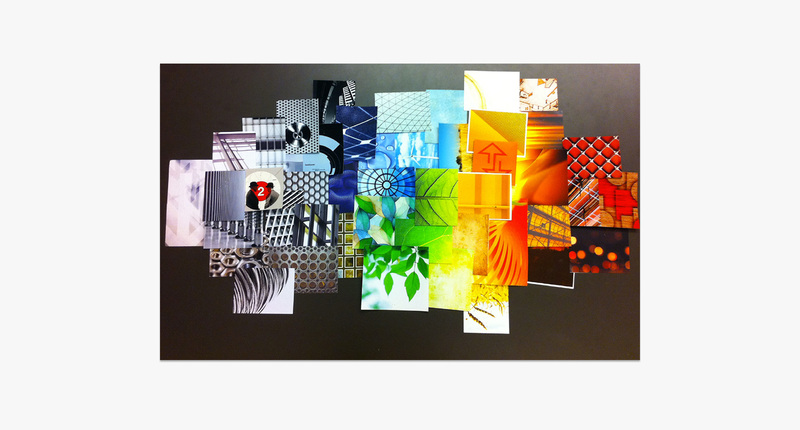 We’d rearrange the images into a color spectrum after the first round of edits, make sure nothing felt out of place, and finalize the collective mood board. Our methodology turned the magical process of identity design into a scientific and collaborative one. 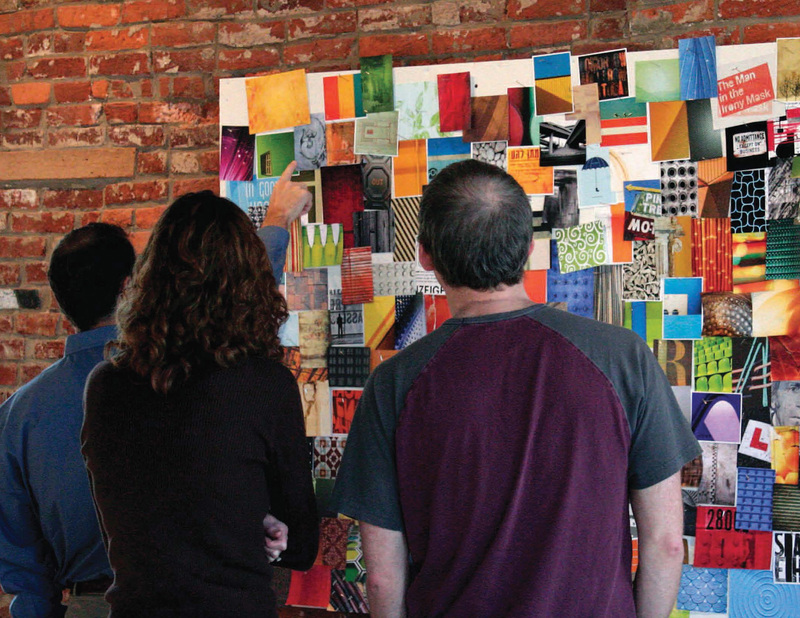 Most importantly, it produced a visual artifact that we could all reference together throughout the design process. We built a tool that allowed non-designers to understand how and why we made decisions we did. 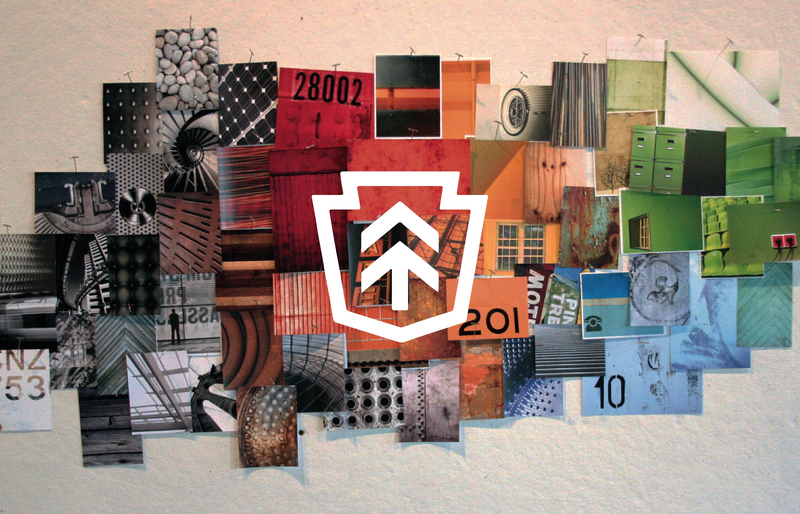 In 2010, I decided it was time to leave my hometown and The Infantree to pursue design more deeply at graduate school. My partners, Ryan and Ryan, had always wanted to run a firm together and so the move worked out for everyone. It has been incredible to see them take the reigns and make it their own. The company continues to thrive under their leadership. They’ve built an awesome team and produce amazing work. On top of their design practice they’ve started multiple ventures. My favorite is Ellicott & Co. I'm so proud of them and to have played a role in the beginning of their story. Want more of The Infantree? Check out their current work here.